ECU Remapping on V-Switch Land Rover and Range Rover Tuning, Viezu is very excited to announce that ECU remapping is now available on the V-Switch for Land Rovers and Range Rovers. This will enable Land Rover & Range Rover owners to tune their vehicles whenever and wherever they want to, and offers them various tuning options dependent on their personal requirements and driving style. 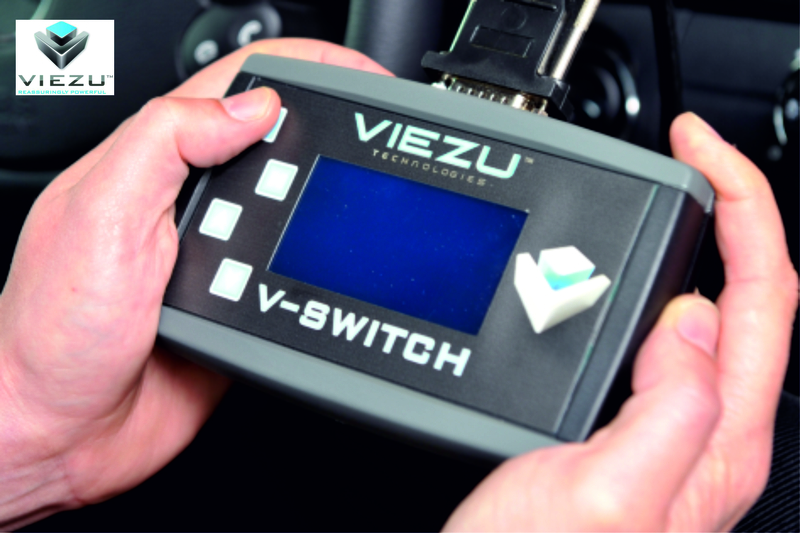 The Viezu V-Switch is a hand-held tuning programmer which is so easy to use you will wonder why you didn’t buy one years ago. Full comprehensive instructions are provided but no technical expertise is required. The V-Switch is capable of reading and writing tuning programmes for hundreds of different vehicle types and if you change your car you can use it on a different vehicle, as long as you restore the factory settings on the original car first. The V-Switch will store up to two different tuning files for your Land Rover or Range Rover, as well as the factory original settings, meaning you can switch between performance settings as often as you want to at the touch of a button, as well as easily restore the original settings prior to any inspections. For more information please click here, email info@viezu.com or call 01789 774444 and our technical team will be happy to listen to your requirements and offer advice.